I.D. images specializes in providing custom label solutions. Below is a list of some of our label converting capabilities, but for a more accurate idea of what we can do, use our online custom quote tool. We provide custom labels for many markets including transport and logistics, healthcare and pharmaceuticals, food and beverage, and consumer durables to name a few. We work with you from initial concept to the final order delivery to give you the best product for your application and to ensure that your customers get the products that they need. 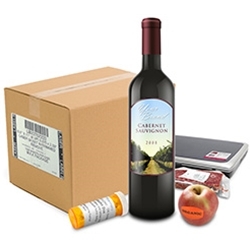 Some of our most common custom applications are product and package identification labeling, shipping, shelf marking, LPN labels for fulfilment and distribution centers, prescription labeling, appliance and electronic labeling, and chemical labeling. No matter your application, we welcome you to contact us with your requirements and we will work to find the best solution for you. 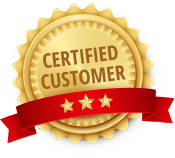 Give us a call at 866.516.7300 for personalized help with ordering your custom labels. Core Sizes Available: 3/4", 1", 1-1/2", 2", 3", & 4"
**Thousands of custom die sizes are available, and we can order special dies for your job.